If you are looking for famous food joints in CP, Delhi, you have come to right place. Here, is the list of best street food places in Delhi, CP. Connaught place is one of the most happening places of Delhi and, if you are looking for fast food in CP, you are going in right direction. Did you know that there is a street food festival in CP? Well! this shows you how much craze is there for food among the folks of Delhi. Here, is the list of best street food joints in CP, Delhi that are renowned for its taste. Delhi streets are incomplete without the street food. CP has many places that serve best street food around and are worth visiting. Kulcha King is one of the prominent places to enjoy the authentic taste of the Amritsari Kulcha. Kulcha King is counted among the places that serve the best Amritsari Kulcha in Delhi. Not only, it is the best place to taste the best Punjabi Kulcha but, is one of the best places to hangout in Delhi amongst the youngsters. So, if you are craving to taste the paradise of Punjabi spices, Kulcha King in CP is the way to go. 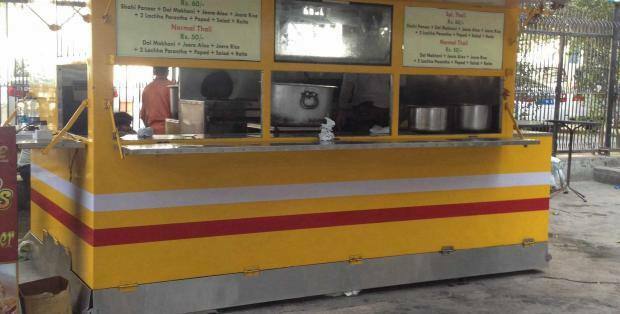 Jain Chawal Wale is one of the promnent street food junctions in CP, New Delhi that is renowned for the best Chawal dished. Prevailing the option of home delivery, Jain Chawal Wale is one of the famous places to enjoy street food in CP, Delhi. If you are craving to taste some of the delecious Kadi Chawal, Channe Chawal, Rajma Chawal, there is no other place than Jain Chawal Wale that can fulfill your craving. Jain Chawal wale, not only serve the best Chawal combos, but also serve some of the best chinese and steeters like Chole Bhature, Paranthe, Chowmien etc. So, if you are looking for Indian street food in CP, Jain chawal is one ultimate stop. 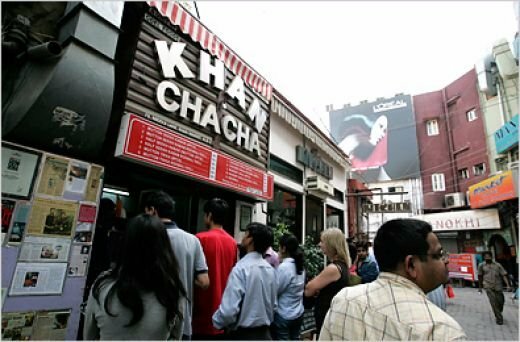 Khan Chacha is amongst the famous places to hangout in CP to enjoy street food. They are known for serving the best rolls in CP. The best part about them is the authentic taste of the veg and non veg kababs. Trust Us! Once, you will have a kabab at Khan Chacha, you will not go anywhere else for it. 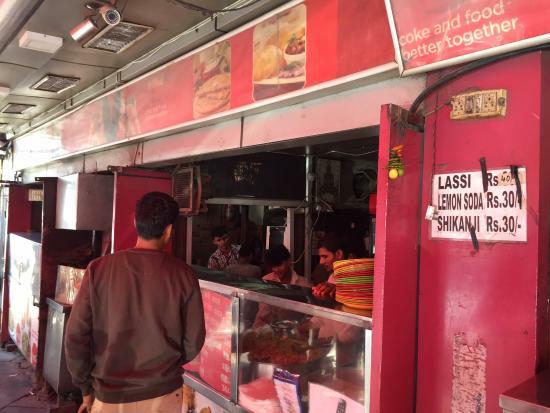 Khan Chacha’s Rolls and Kababs has become one of the famous food in CP. So, if you are looking for something to grab on streets, you should definitely grab one of the rolls at Khan Chacha. If you are craving for the authentic taste of Chinese food and want to taste the divinity of the Chinese spices mixed all together, but are confused where to go, then Daksh Chinese Food corner is one of the best place to go. Serving the finger-licking Chinese food, Daksh’s Chinese food has become one of the renowned street food in CP. Here, you can find all kinds of variety that Chinese has to offer and that too at very affordable price. Once, you taste the food here, you will forget the taste of Chinese served at 5 star restaurants in CP. Out of Station is one of the famous eating places in Delhi. If you are looking for the best street food in CP, Out of station has to be in the list. Serving mouth watering street food like Pav Bhaji, Vada Pav, Nuggets and Samosas in Veg menue, they also have some of the delicious non-veg dishes like Chicken Keema Pav, Anda Pav etc. Being one of the renowned places to enjoy street food in CP. Out of Station has become a fomous place to hangout among the street food lovers. Here, are some of the famous places to have street food in CP, Delhi. If you are in love with the taste of street food, these places are haven for you. So, must visit and enjoy the food in CP at its excellence.